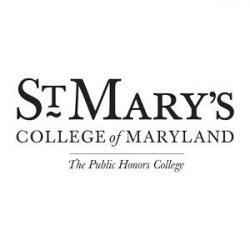 St. Mary’s College of Maryland, a public liberal arts, honors college, is accepting applications for a VISITING ASSISTANT PROFESSOR IN COGNITIVE PSYCHOLOGY to begin August 2019. Teaching includes department core courses (such as introduction to psychology) and courses in cognitive psychology. Ph.D. preferred. 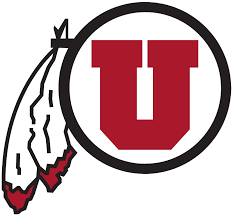 ABD at time of contract will be hired at the rank of Visiting Instructor. An interest in working with students from underrepresented groups is essential. Employment will be contingent upon successful completion of a criminal background check. Candidate must produce the necessary documentation to legally work in U.S. upon hire. The department of 14 faculty supports the psychology major, which is among the largest at the College. St. Mary’s is committed to excellence in teaching and in undergraduate research. More than 73% of psychology majors pursue advanced degrees upon graduating. St. Mary's College of Maryland, the national public honors college, is a Carnegie Baccalaureate, Arts and Sciences institution located in St. Mary's City, 70 miles southeast of Washington, D.C. With highly selective admissions policies, academically talented students, and a rigorous curriculum, we offer a small college experience similar to that found at exceptional private colleges. The quality of life is enhanced by the recreational opportunities of the Chesapeake region and by our proximity to Washington, D.C. and Baltimore. St. Mary’s College embodies diversity and inclusion in its mission. We create an environment that recognizes the value of individual and group differences and we encourage inquiries from applicants who will contribute to our cultural and ethnic diversity. Applicants should submit a cover letter describing their teaching interests and teaching experience, a CV, evidence of teaching effectiveness, and a statement explaining how their teaching at the College will contribute to a culture of inclusion and campus diversity. Applicants should also arrange for the submission of at least three confidential letters of recommendation. Applicants can request confidential letters through their Interfolio Dossier account, and may be uploaded for free by the letter writer directly to our Interfolio-hosted account for committee review. Applications are being accepted online at: apply.interfolio.com/60443 . Send e-mail inquiries to Elizabeth Williams Ph.D., Psychology Chair, at enwilliams@smcm.edu . Review of applications is underway and continue until the position is filled. St. Mary’s College of Maryland ( www.smcm.edu ) is an affirmative action/equal opportunity employer.